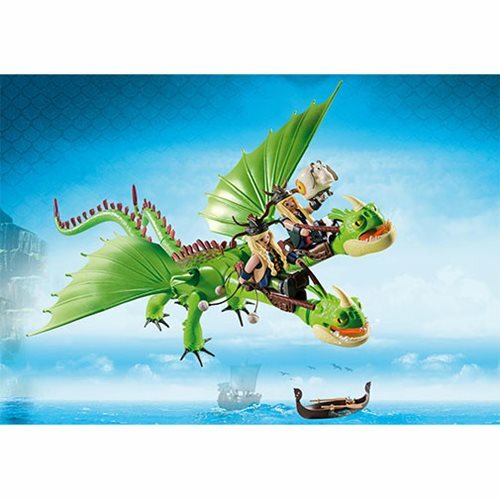 Check out Playmobil 9458 How to Train Your Dragon Ruffnut and Tuffnut with Barf and Belch! The two-headed dragon comes with a pair of brave warrior figures. Each 3-inch figure is fully jointed and comes armed with weapons and spiffy helmets. Defend Berk with this brave crew, their gear, and their sheep target. Ages 4 and up.